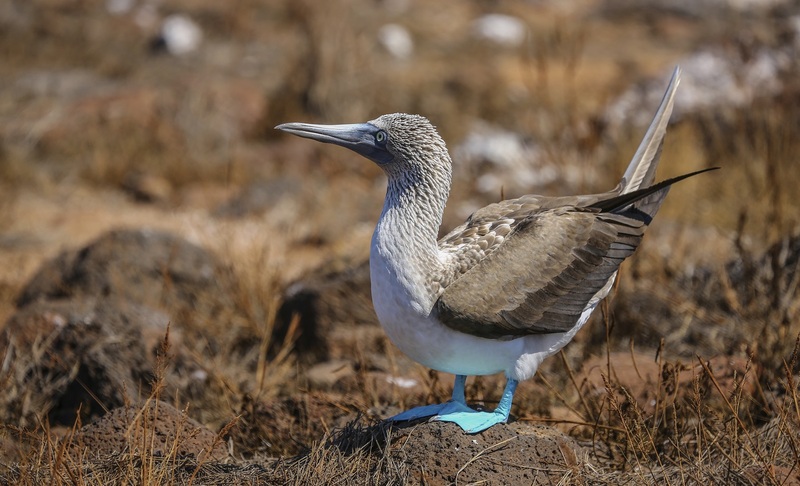 Explore the Galapagos Islands on this fantastic 6 days cruise. 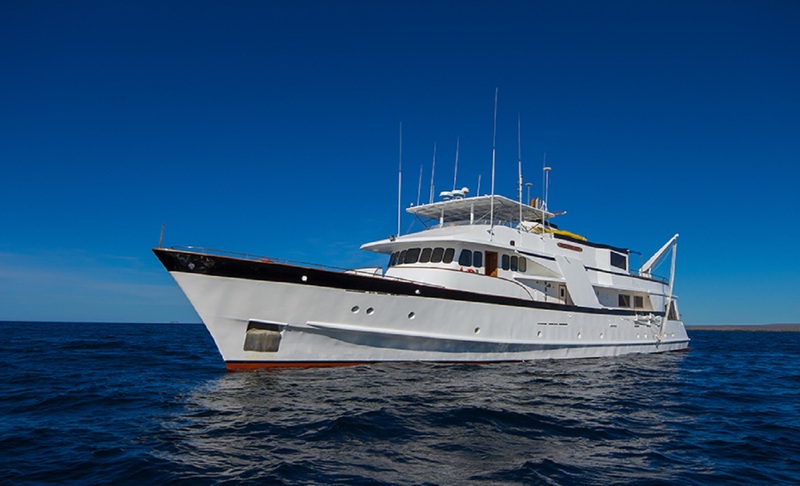 Have an unforgettable experience aboard the very spacious and comfortable motor yacht that is the Beluga. 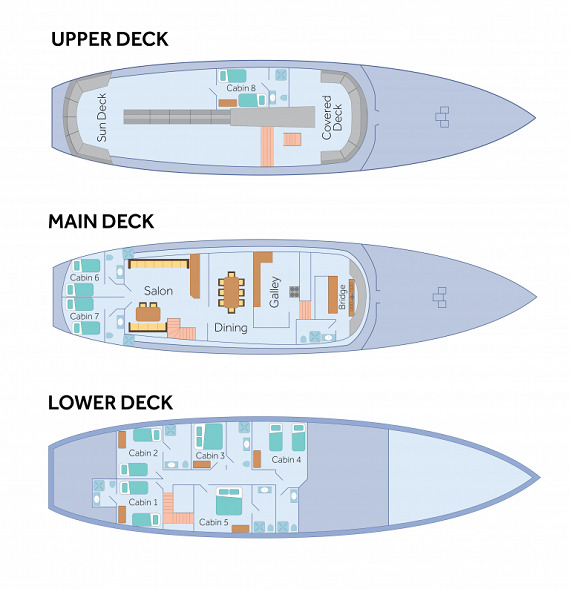 With panoramic windows and great deck space, the Beluga is a fantastic way to cruise the islands in style. 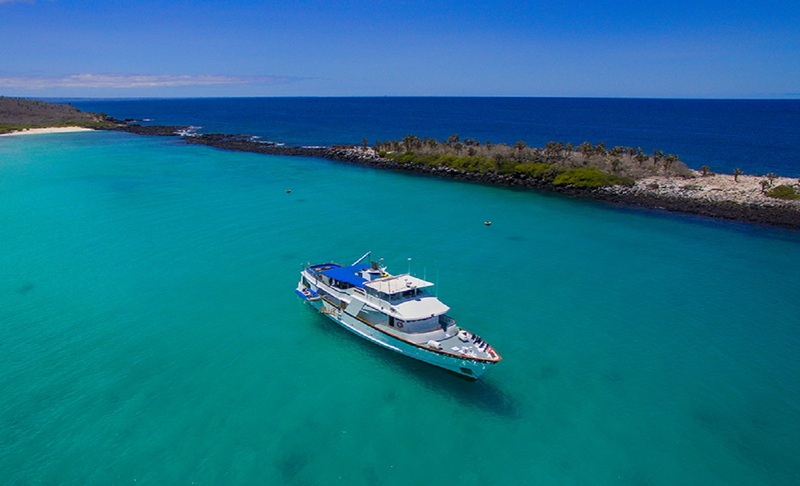 Transfer to Puerto Ayora where you will take a speedboat to Isabela Island. Departure on speed boat at 14:00 pm. 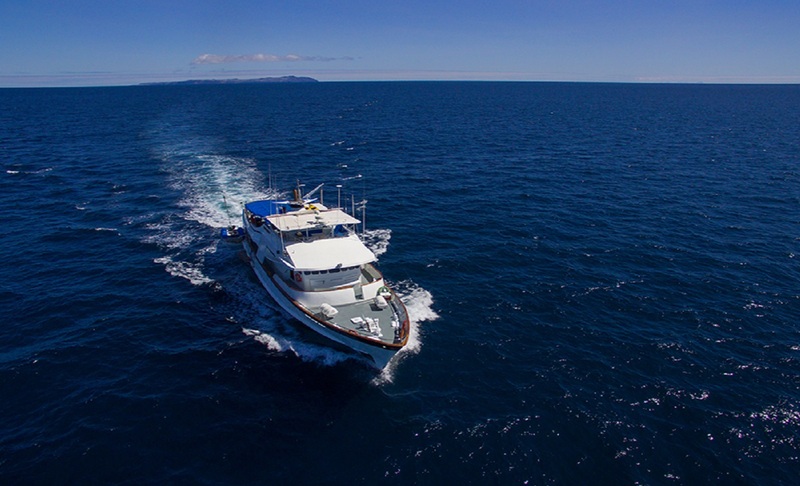 The speed boat arrives in Puerto Villamil on Isabela island at 16:30 pm approximately. Here you will board the Beluga. Punta Moreno is located in the central southwestern coast of Isabela Island. The site has spectacular views of volcanoes Alcedo, Sierra Negra and Cerro Azul. 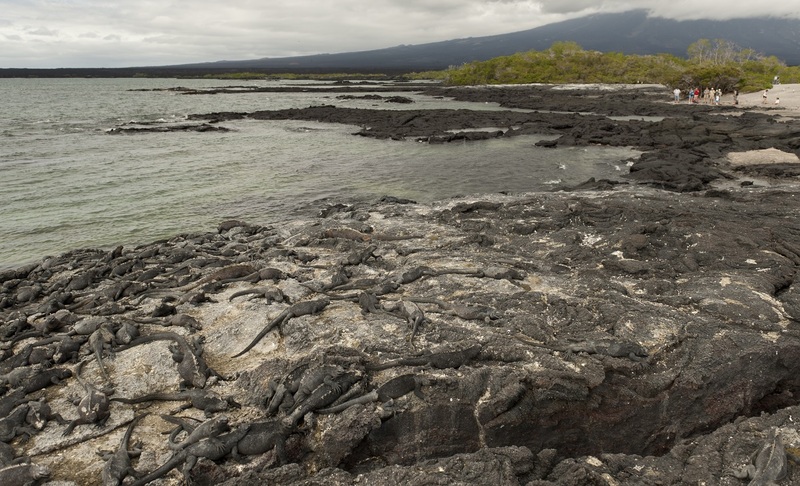 Some highlights include impressive lava flows, desolate and pristine landscape, varied and unusual arid zone vegetation. This spot is only accessible by dinghy. 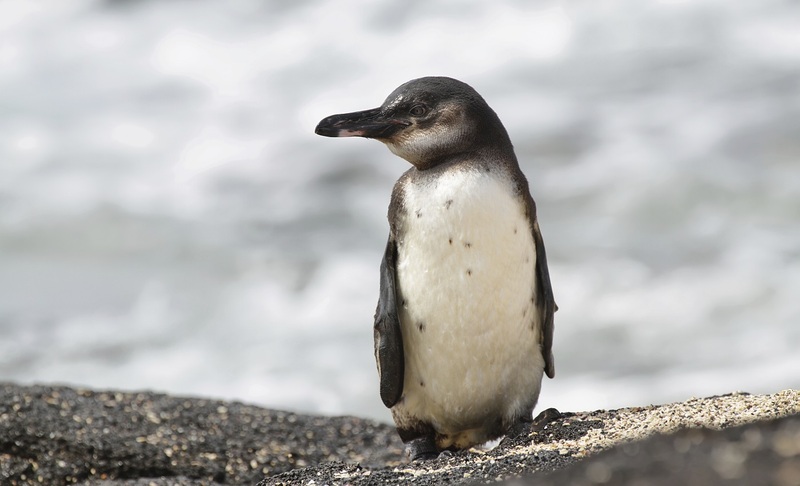 It is possible to see penguins on the small islets in the bay. The end of the bay is long and narrow surrounded by three species of mangroves. Galapagos Sea Turtles and rays can usually be seen in the water. Urbina Bay is located at the central-west coast of Isabela Island at the foothills of Alcedo and Darwin volcanoes. 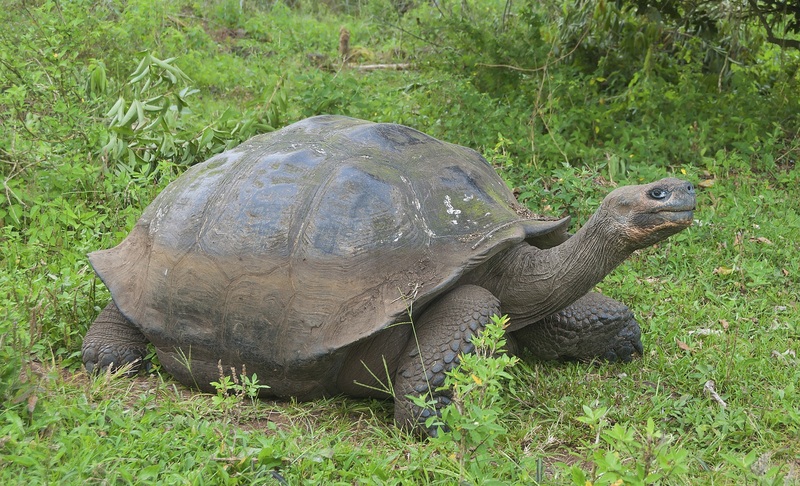 Highlights include the colourful land iguanas, Galapagos Giant tortoises and the coral uplifting from 1954. 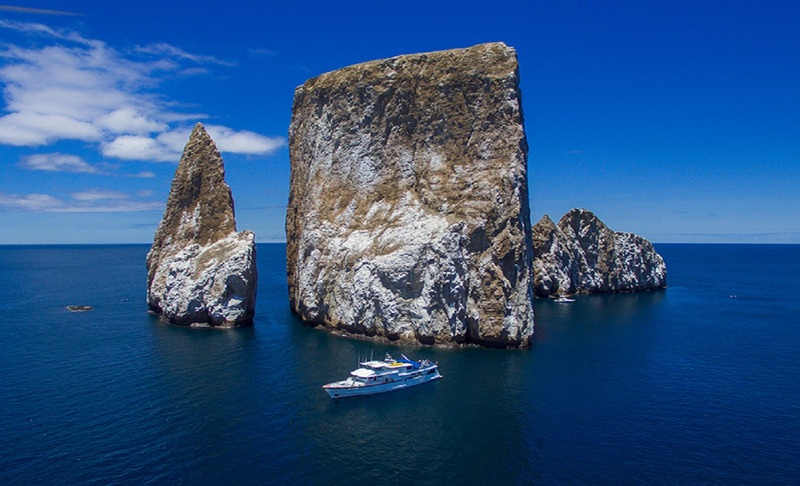 Tagus Cove is a natural harbour where centuries ago whalers and pirates left their ship’s names painted or carved on the rocks. A walk uphill to Darwin’s Crater salt-water lake will provide an excellent view. 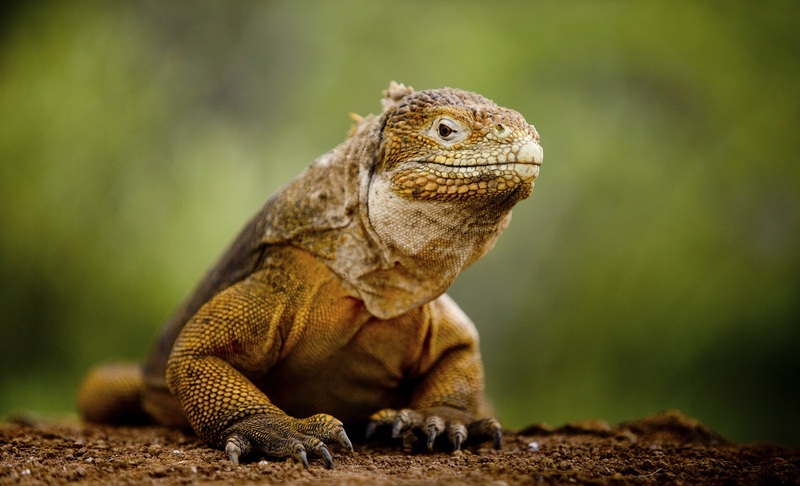 Punta Espinoza is a place famous for its large colonies of marine iguanas and as the habitat of unique species like the flightless cormorant, Galapagos penguin, Galapagos hawk, Galapagos snake, among others. 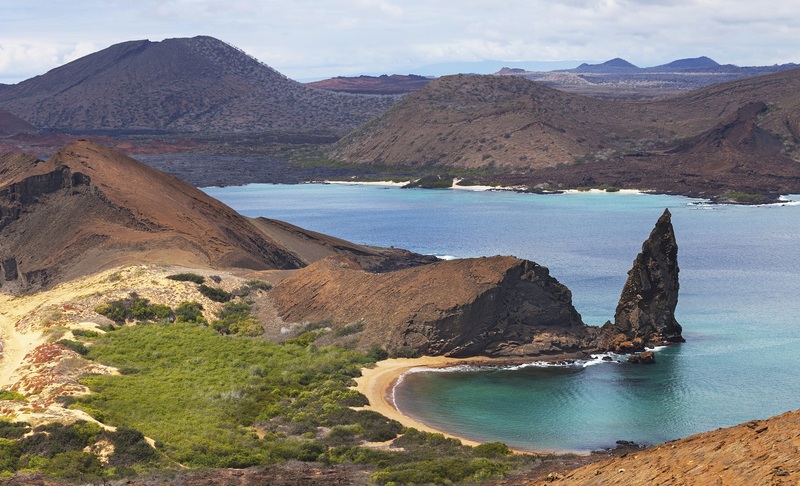 A walk along the rocky coast line that will you show you a view of some of Galapagos’ best tide pools. 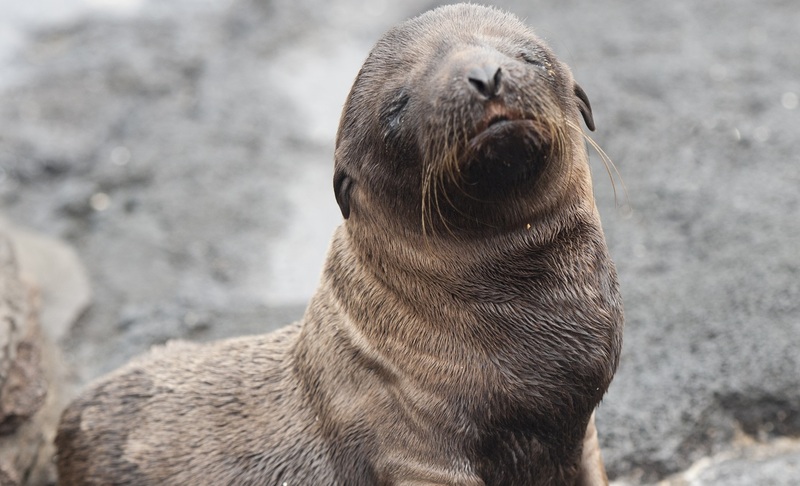 Some highlights include: Sugar loaf volcano, fur seals, oystercatchers, marine iguana colony, and old salt mine. A hike will take you to the highest point on Bartolome for a spectacular view. 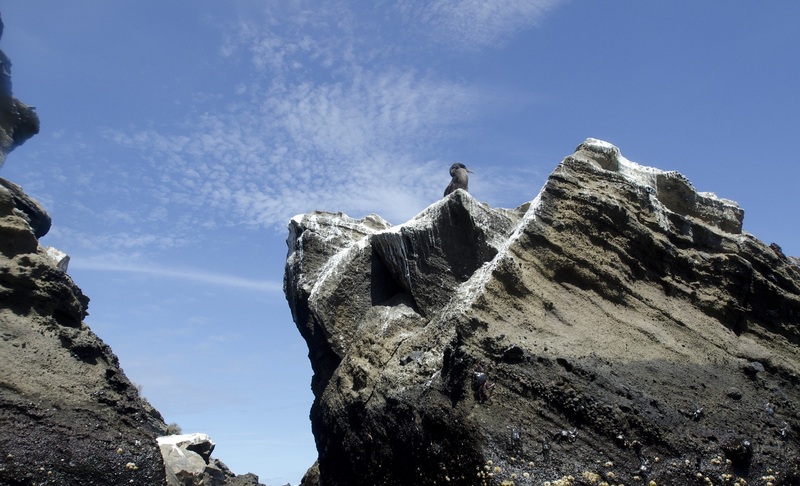 Sea lions and penguins can be seen around Pinnacle Rock. There is a sandy beach with great swimming and snorkelling. This flat piece of land originated after an uplifting event thousands of years ago. 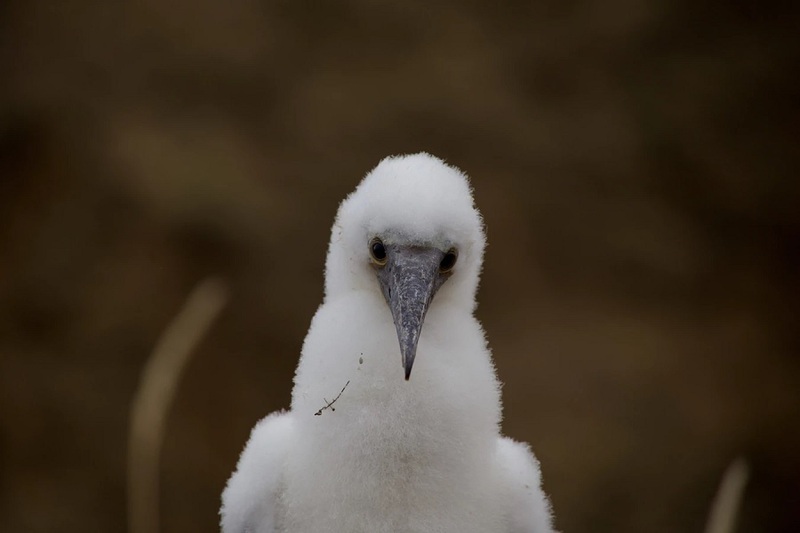 The island is home to endemic Palo Santo trees, colonies of blue-footed boobies, swallow tailed gulls, and magnificent frigate birds. Return flight to the mainland of Ecuador. 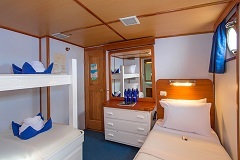 One single bed & one bunk bed, two portholes, storage space, private bath, hot/cold showers, vanity table & security safe. 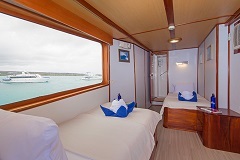 Two beds, two portholes, storage space, private bath, hot/cold showers, vanity table & security safe. 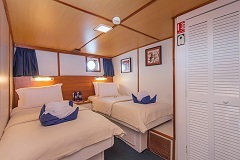 One bed, two portholes, storage space, private bath, hot/cold showers, vanity table & security safe. 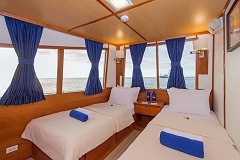 Two beds, large windows providing a 180-degree panoramic view, storage space, private bath, hot/cold showers, vanity table & security safe. 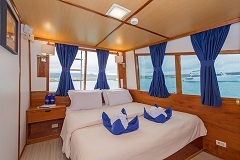 One bed, large windows providing a 180-degree panoramic view, storage space, private bath, hot/cold showers, vanity table & security safe. 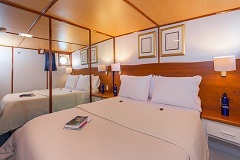 Two beds, a wide panoramic window, storage space, private bath, hot/cold showers, vanity table & security safe. Cruise Range: 12 knots cruising. Safety Equipment: VHF (DSC) & HF (DSC) radios. EPIRB, SART, satellite tracking device, 2 GPS’s, 2 radars, depth sounder, flares, basic first aid kits, 2 tenders with outboards, fin keels for extra stability, flotation rings, life rafts with surplus capacity for all passengers and crew, fire alarm system. 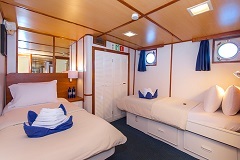 Guest Accommodation: 8 Double cabins each with a private bath. Hot/cold water showers. 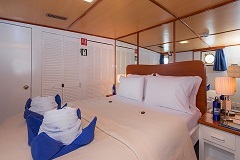 Security safe in each cabin.